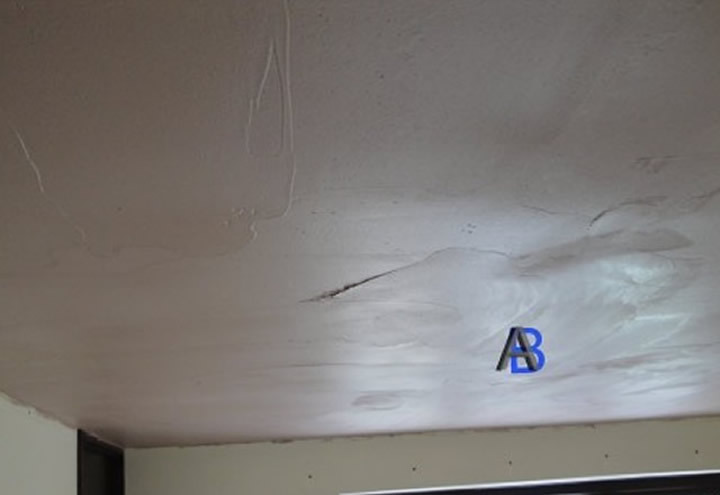 We are going to give the ceiling two coats of multi-finish plaster to skim over the Artex. 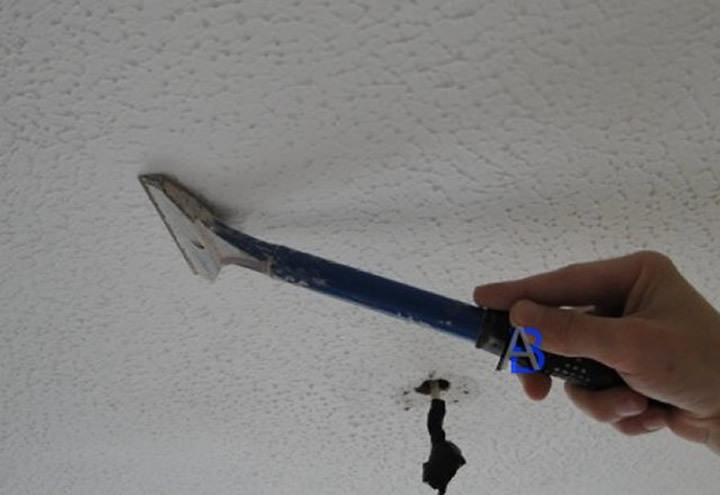 First remove all of the pimples and high spots with a scraper we are using a H/Duty Long Handle Scraper which has 4in steel blade. Next we apply two coats of PVA the first at 5 to1 and the second at 3 to1, we are using a roller as it is quicker and easier to get an even coat. 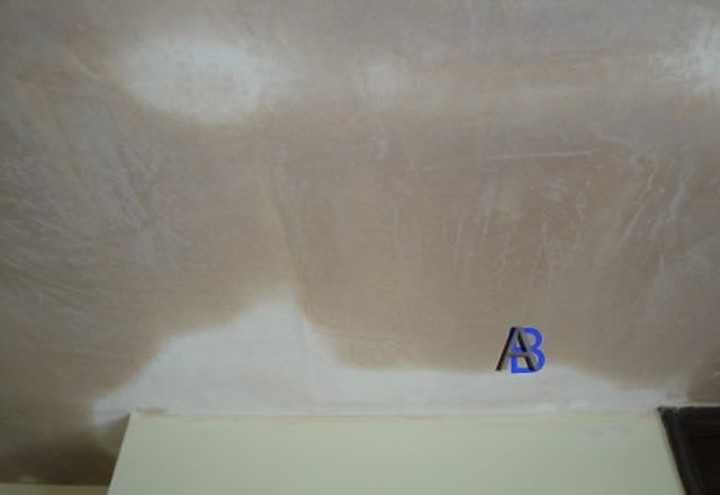 When applying the first plaster coat don’t worry about too much about trowel marks just try to get a even coat, before applying the second coat you can trowel over any large marks. 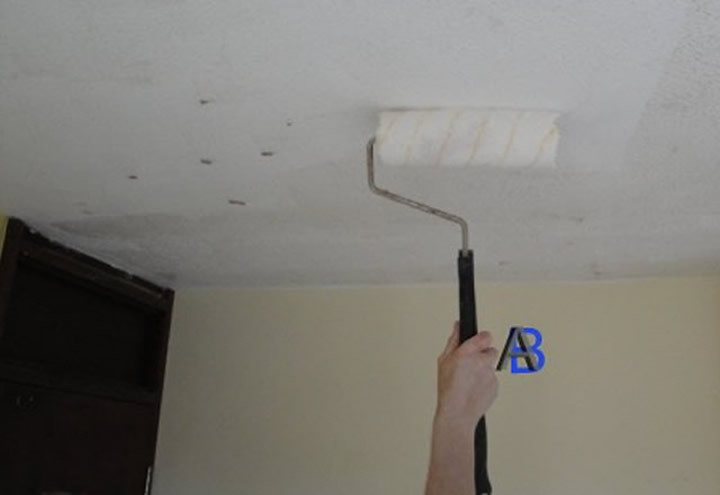 Once the first coat has gone off you can apply the second coat, toweling until all of the marks have gone. It will take a couple of days to dry, the first coat of emulsion should be dilute with water.